We couldn’t be more excited! It was an honor working with Chef Delgado and his team from Barking Frog- they are simply the best! Mark and I (Jack too!) want to thank all of our supporters who attended last night’s event and of course American Lamb (and all the sponsors) who made it possible. It was a lot of fun and we met a lot of great people along the way. We are looking forward to next year! 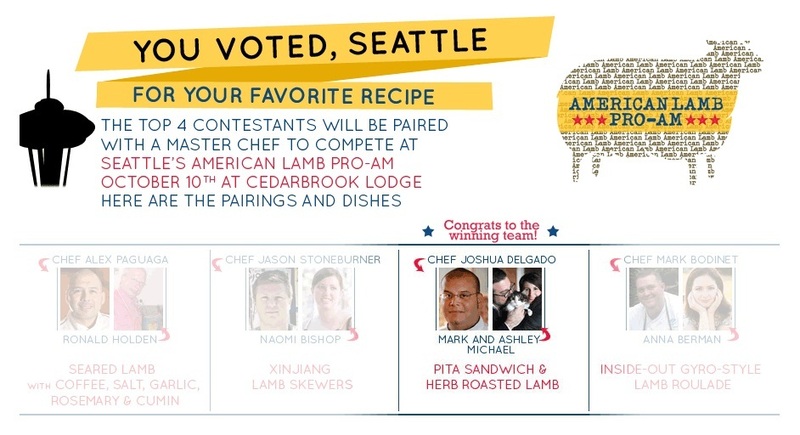 Thanks Chef Delgado & team from Barking Frog, American Lamb Board and all those that voted! Best week of 2012!